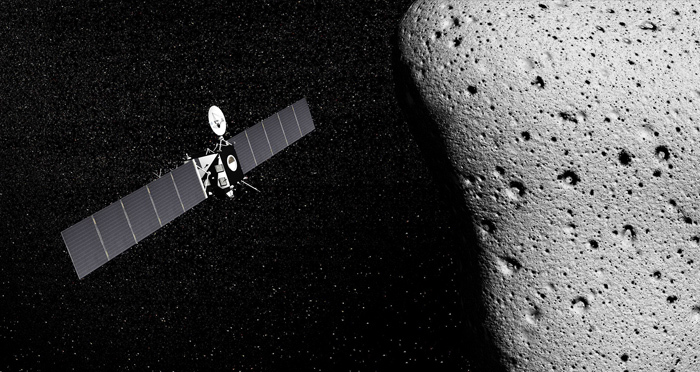 November 12th 2014 marked a historic date for the world as news arrived of the success of the Rosetta satellite mission and the landing of the Philae probe onto the surface of Comet 67P. The progress of Rosetta has been followed with interest at Reliance Precision in Huddersfield where gears were manufactured for use on the satellite. The team at Reliance is thrilled to be contributing to such a prestigious project as Managing Director, Andrew Wright, explains: “There is something very satisfying about knowing our components are not only performing perfectly after 10 years, but are doing so in deep space at a distance of around 500 million km from our works here in Huddersfield”. The gears have played a vital role throughout the satellite’s journey in rotating the two 15 meter solar panels, enabling them to perpetually face the sun: a crucial function given that Rosetta has no internal batteries and relies entirely on solar energy for electricity. Reliance Precision Ltd provides design, manufacturing and test services to major equipment and systems manufacturers from industries spanning aerospace, defence, space, scientific and analytical instruments. Custom-built precision components, electro-mechanical and opto-mechanical assemblies are complemented by Reliance’s catalogue business, providing stock and customised products for motion control.